MDLIVE Board of Directors - A list of our board members. 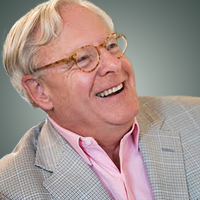 Mr. Jones has spent much of his career as an operating executive for a wide range of large, public international companies and small, growth-driven private companies based in the United Kingdom, Canada and the United States. Mr. Jones has a reputation for innovation and customer-centric growth strategies. He was Global Chief Operating Officer of London-based Shandwick plc, which during his tenure became the largest public relations firm in the world. Before becoming Managing Partner of Bedford Funding, Mr. Jones was Chairman and then CEO of Markham, Ontario-based Geac Computer Corporation, a Toronto Stock Exchange-listed software company with annual revenues approaching U.S. $500 million. During Mr. Jones’s tenure, he transformed the Geac business with two large public-company acquisitions, and built an innovative and market-leading business intelligence software enterprise, focused on the financial value chain. On October 1, 2001, the Wall Street Journal named Geac the number one performing global stock. In 2004, Mr. Jones was named on the top 10 list of CEOs in Canada and, in 2005, on the top 25 list of CEOs in Canada by Canada’s National Post newspaper. Rich Berner currently serves as a board member and Chief Executive Officer of MDLIVE. 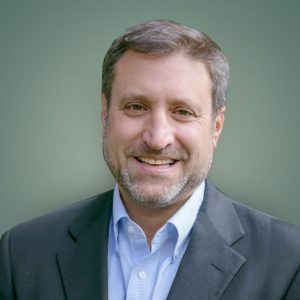 As CEO, Rich guides company direction to help our clients and our clinicians improve the quality of life and healthcare experience of the populations we manage through the innovative use of technology to provide proactive, predictive, cost effective virtual health management and care on the consumers’ terms. Rich brings over 20 years experience building award winning teams and products across a variety of business to business and business to consumer industries that have helped his clients leapfrog their competition resulting in significant top-line growth for his companies while also maximizing operating earnings in established and emerging markets. Rich has spent the last 13+ years in healthcare focused on helping governments and providers around the world utilize technology to improve the health of the populations they manage while reducing costs. Rich joined MDLIVE from Allscripts where he served in various executive roles including President, International & Acute, SVP Health Systems and Hospitals. 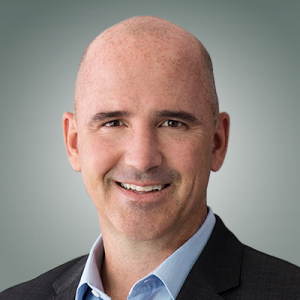 Most recently Rich was responsible for the worldwide solution strategy for Allscripts’ health systems and population health business, which generates over $1B in revenue. Under Rich’s leadership, Allscripts’ Sunrise EMR was named the KLAS #1 Global EMR and the #1 EMR for Academic Medical Centers and Large hospitals by Black Book in 2014-2016. His clients have driven material improvements in outcomes resulting in numerous industry awards and accolades for their accomplishments. Previously, Rich served as Senior Vice President at Caradigm, a Microsoft/GE joint venture where he led the client organization. He also served in a number of executive roles at Cerner Corporation, helping clients drive outcomes. Most recently, he led a number of Cerner’s agile business units and launched emerging businesses. He also led Cerner’s Middle East and Africa operations from Dubai and served as Vice President and General Manager for Cerner’s academic and children’s hospital clients. Before joining Cerner, Rich was a partner at TechEmpower, a strategy consulting and custom software developer. 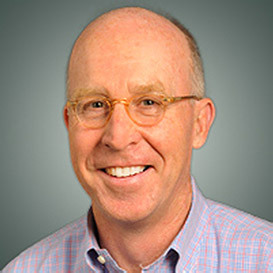 Prior to that, he served as Chief Operating Officer for FreeDrive, where he helped pioneer the online storage space, after beginning his career as a software engineer at Tellabs, the U.S. Army Corps of Engineers, and Internal and External Communications Inc.
Rich graduated as an Evans Scholar from the University of Illinois with a Bachelor of Science in Teaching of Computer Science. Partner of Novo Ventures (US) Inc.
Tiba Aynechi is a Partner of Novo Ventures (US) Inc., a life science venture capital investor. Ms. Aynechi is a member of the Board of Directors of AnaptysBio Inc., Arcellx Inc., Nkarta, Inc., Cianna Medical Inc., iRhythm Technologies Inc., Battersea, and Spruce Biosciences. Previously, she was a board member of Thesan Pharmaceuticals Inc. Ms. Aynechi has more than 10 years of combined research and banking experience in life sciences that spans various therapeutic areas and technology platforms. 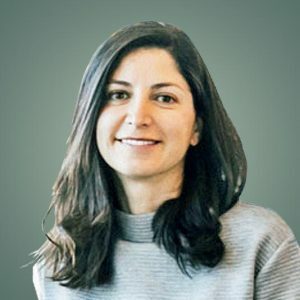 Prior to joining Novo Ventures (US) Inc., she was a Director with Burrill & Company where she has completed regional and cross-border M&A, licensing, and financing transactions for biotech and large pharmaceutical companies. Ms. Aynechi received her PhD from the GraduateGroup in Biophysics at the University of California, San Francisco where her research involved developing computational methods for drug discovery. She has an undergraduate degree in physics from the University of California, Irvine. Ms. Aynechi is also a published author of scientific articles and book chapters in the area of rational drug design. Martin Felsenthal is currently Managing Partner at Health Velocity Capital, and he has worked exclusively with innovative, disruptive, and rapidly growing healthcare software and services companies for more than 20 years. He was previously a partner at two leading healthcare venture and growth capital firms — Salix Ventures and HLM Venture Partners – and also worked with Madison Dearborn Partners earlier in his career. 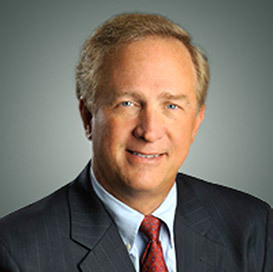 He has led investments in and/or served on the Boards of Directors of healthcare companies such as TelaDoc (NYSE: TDOC); Change Healthcare (acquired by Emdeon); Aperio (acquired by Leica Biosystems); Titan Health (acquired by United Surgical Partners); US Renal Care (acquired by Leonard Green); Payerpath (acquired by Misys/Allscripts); Vantage Oncology (acquired by McKesson); NovoLogix (acquired by CVS Health); VeriCare (acquired by MedOptions); OnShift; ClearData Networks; and Infusion Express. Mr. Felsenthal serves as an adviser to the California Healthcare Foundation Innovation Fund and on the board of BioEnterprise, a not-for-profit focused on sponsoring healthcare innovation and creating job growth in Northeast Ohio. Mr. Felsenthal received his AB from Princeton University and his MBA from the Stanford University Graduate School of Business. Howard Kern is President and Chief Operating Officer of Sentara Healthcare, a $5 billion integrated health system headquartered in Norfolk, VA. In this capacity, he serves as Chief Executive for Sentara® hospital system and health plan, and Chairman of the Board of its Bay Primex Insurance Company, Ltd. He has been with Sentara since 1980. Rock Morphis co-founded Heritage Group, LLC in 1986 and has served as a Managing Director of the firm since its inception. Heritage Group is an investment and advisory firm, which focuses on early stage healthcare opportunities. Over the past 25 years, Mr. Morphis has served in numerous executive positions within Heritage Group’s portfolio of companies. Michelle Teichman has been with PeopleFluent for over 16 years, and as Executive Vice President, oversees PeopleFluent’s suite of SaaS-based Talent Acquisition applications, the company’s largest product by revenue. PeopleFluent’s recruiting products include recruiting workflow, onboarding, interview scheduling, and contact management modules. 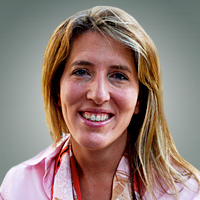 Ms. Teichman is responsible for all recruiting product decisions, from creation through product management and development. She is also responsible for go-to-market commercial affairs, including product management, marketing and business development representatives. PeopleFluent’s recruiting product has a strong, international client bases, with particular strength in the healthcare segment.